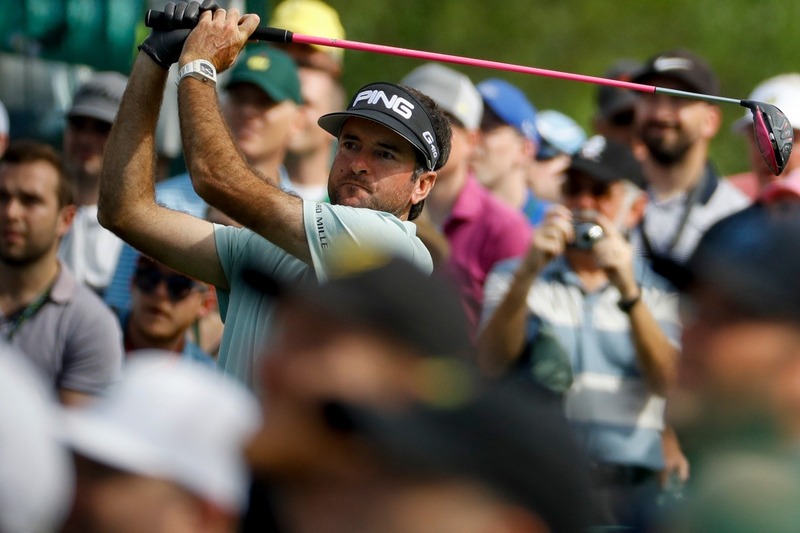 Bubba Watson is teeing it up this week in the Masters for the 11th time in his career. As a two-time Masters champion (2012 and ’14) who tied for fifth last year, he’s among the favorites to contend for this year’s green jacket. He’s also coming off a fourth-place finish in the Valspar Championship. Earlier this week, Watson reflected on his two Masters victories in a piece he wrote for Masters.com. The 40-year-old detailed how he used to dream of sinking the winning putt on the final hole at Augusta National. “As a kid, you’re thinking about making the par putt to win,” he wrote. “It’s not about how you played the hole, in general. It’s not about the tee shot on No. 1. It’s not about the 7th hole. It’s about making that final putt, to win, on the 18th green at Augusta. That’s it. “Back then, I didn’t dare dream about putting on the Green Jacket. I didn’t think about the trophy that came with it. I didn’t think about the honor, the privilege, the blessing of winning the Masters. You make the putt, and then the dream ends. I wake up. In 2012, Watson had just become a father when he claimed the title. He and his wife, Angie, picked up their son, Caleb, on the Monday before the tournament. Watson only got a few days with his son before leaving to play the Masters. “My life took on a new framing. That whole week of practice had a different rhythm. I got my work done so I could get back on FaceTime with Caleb, who was only a month old at the time. I wasn’t so focused on golf, or putting pressure on myself to perform in my favorite tournament. It was never, ‘Do I have a chance to win this thing? '” he wrote. Watson said he didn’t even think about the possibility of winning until Sunday, even though he had been playing well all week. But he ultimately won his first major championship on the second hole of a sudden-death playoff against Louis Oosthuizen. “I’d like to first thank Jesus Christ, my Lord and Savior,” Watson said after receiving the famed green jacket. Two years later, Watson found himself tied for the lead with Jordan Spieth going into the final round. Spieth moved in front early, but Watson jumped back ahead by the ninth hole. He held on down the stretch, shot a 3-under 69 for the round, and finished three shots ahead of Spieth and Jonas Blixt. After sinking the final putt, Watson will never forget what he saw when he turned around. Around that same time, Bubba and Angie — who struggled with infertility — began the process to adopt a second child. Later in 2014, they welcomed a daughter, Dakota, into their family.